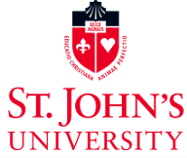 This campaign ended on December 01, 2015, but you can still make a gift to St. John's University by clicking here! Billy and Linda Schaeffer (Class of '73) gave $100 because 100 donors made a gift in 1 day. Giving Tuesday is a day where the world comes together to give and make a difference. It unites people, communities, charities and schools like St. John’s for one common purpose – to celebrate generosity and to give. St. John's prides itself on its strong athletic tradition. With 17 teams competing in Division 1 Athletics, our student-athletes have the opportunity to play against and to be some of the best in the nation. We believe that their continued success - both on the playing field and in the classroom - is directly related to the support our alumni and friends provide them each year. Our students are able to compete at the highest level because of your support. Making a gift today will provide this opportunity to our current student-athletes as well as allowing us to recruit and attract the best students for future seasons. Please show that you value the hard work and dedication that our student-athletes put forth in and out of the classroom by making a gift to the team or program that is most important to you and asking classmates, teammates, family and friends to join you in doing so. Join us today as St. John’s Athletics participates in giving back to our student-athletes who give so much to us.